Black Friday Tip #3: Use an Online Shopping Portal! With Black Friday right around the corner, it is important to maximize the number of points/miles or cash back earned on every single purchase. For every single purchase you make online, you should AWLAYS go through an online shopping portal first. This will ensure you get an even better deal on your upcoming purchase! What is an Online Shopping Portal? For those not familiar with an online shopping portal, it essentially gives you a kick back in the form of points/miles or cash back on every single you purchase online. Payouts change daily and every portal has their own offers. You start at the online shopping site first, search for your online merchant, and you’ll then be taken directly to that merchants online website. At that point, you’ll shop how you normally would as if you went to the merchants site to begin with. 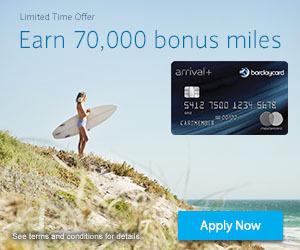 It takes an extra minute and allows you to earn points or miles on the way — it is a no brainer! For example, let’s say you are looking to shop at the Gap and there is a payout of 5x American Airline miles per dollar spent. A $100 purchase will earn you an additional 500 American Airline miles for simply making a purchase you were going to make anyways! To find the best payout, I always suggest starting at evrewards.com or cashbackmonitor.com. These are two different aggregators that will show you the best payout for a certain merchant. Unfortunately though, payouts are not always 100% accurate and not at shopping portals will show up in the search, but it is a good place to start. There are three different types of payouts you can earn with your online purchases — cash back, airline miles, credit card points. While sometimes the value of the miles or points earned is worth more than cash back, cash is king and can sometimes bring your purchase price down immediately. All the sites have different thresholds on a payout minimum and how often you get paid. I personally love TopCashBack solely since there are no minimums and you can request a to get paid at any point. Ebates, for example, will only pay once a quarter and you must have earned at least $5.01 (or it will be rolled into the next quarters check). Many of the sites also will give you a new members sign up bonus, so you might as well take advantage of those sites first and snag your extra cash! The best part about earning airline miles while shopping online is that earning just 1 mile in the program will extend your accounts expiration date (for programs where miles expire). Make sure to not leave some extra points/miles or cash back on the table! Going through a portal literally takes an extra minute or two so there is no reason not to maximize your earnings!